Hello and welcome to Mas Little Paws. 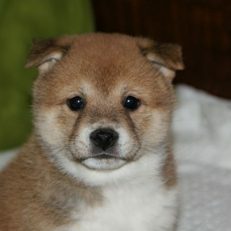 We have been raising Shiba Inu since 1997 and our boys and girls have taught us a lot down throughout the years. 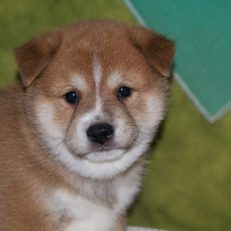 We have raised other breeds of dogs but the Shiba are all we raise now. They are such a fascinating breed but not a breed of dog that is for everyone. To find out more, our contact information is: Home Phone 479-965-2078 Cell 479-965-6367 or Email is teci1952@wildblue.net. We live in Charleston, AR. Please feel free to contact us any time. 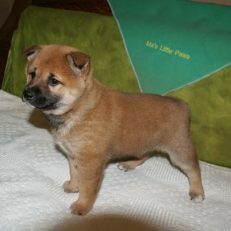 The price of our puppies is $1,005.00 & shipping is $280.00. Total cost is $1285.00. 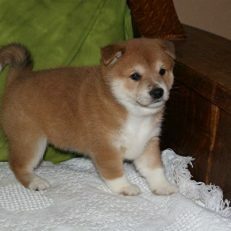 We ship puppies on Delta Airlines. 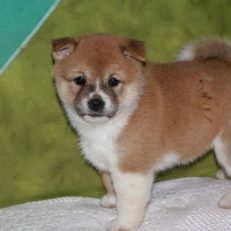 Our adult dogs are all AKC registered so we are now offering AKC on the puppies for an additional $75.00, a total of $1,360.00. If you would like to handle the AKC registration yourself, simply contact the American Kennel Club and register your new puppy. 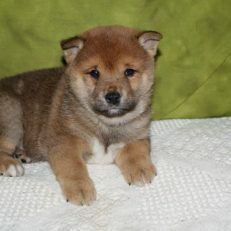 Otherwise they come with APRI registration and pedigree making the cost $1285.00. If we can help you with anything else, please let us know.